The second in the three part series of articles looks at investing in pensions or VCTs and EIS to get a better balance of assets to support long-term income needs. Last week I was looking at how many owner/managers are effectively “overweight” in private company equities – their own business. And this (uncomfortable) truth is made worse when it is unintentional. That is not to say that one’s interest in a private business that you also work in (probably as a director) should not be factored into your financial plan as an asset class, just that if it is a substantial or the only asset class it will bring with it a high degree of risk – especially when a plan in relation to the future of the business has not been determined. Here is a simple example. Joe and Alan are age 50 and 51 respectively and own and run a successful restaurant business through a company that they own “50/50” with their wives at a number of locations around the UK. Despite the tough economic times profits are still decent (albeit a little down) and their reputation for high quality and regular “menu innovation” is helping to retain existing customers and attract new ones – even if “per customer visits” in a given period have fallen. Both Joe and Alan have key person and share succession cover in place and some pension plans – but nowhere near enough of the latter to sustain their current lifestyle if they were not working. They appreciate that their adviser has seen fit to take the time to discuss with them a subject (the role that their business as an asset class plays in their financial plans) that is important (very important actually) but not urgent. They both say how easy it is, in a very hectic working week, to deal only with “urgent stuff” regardless of its importance. And that is another issue, the increasing difficulty in a very crowded and “noise-filled” world to find the time, or even the inclination, to focus on anything that is not urgent and can be dealt with in a few minutes. Attention deficit driven by various media. But I digress. (i) The business is sold and Joe and Alan live on the proceeds. The risk is: will there be a buyer? And, if there is, will the proceeds – after tax (whatever that looks like in the future) – be enough? (ii) Joe and Alan just keep working – a relatively (and increasingly) frequently taken route for business owners. The risk: That health or motivation may not be as it is currently with a consequential negative impact on available income/costs. (iii) They work a little less – but keep their shares. The risk: Without their full-time input will the business be able to sustain itself, let alone them as well, in the manner to which they have become accustomed? Because of the lack of urgency often associated with the role that a SME has in the owner’s financial plans, these challenges/risks are often just not addressed. And if risks are not uncovered, explained and addressed then, self-evidently, a financial strategy that contemplates, incorporates and addresses them will not be possible. The role of the adviser in addressing these issues is critical. Without the challenge that the adviser can bring the matters will often not be dealt with – until it is too late or, at best, a sub-optimal solution will be achieved. Complementary business and investment strategies, that do not deny the business the cash and investment it needs and the owners a decent standard of living but also gradually build tax-efficient diversification, are goals worth pursuing. At the simplest level, using corporate funds to invest in registered pensions (undiminished by tax) will be the most tax effective way to build a complementary asset mix and introduce some (risk-reducing) asset allocation into the equation. Salary, bonus or dividend sacrifice could all have a role to play if there are insufficient separate company funds to seed the “diversification fund”. Once the pension opportunity is exhausted (eg because of the lifetime or annual allowance) then it will be time to look at other, interesting but slightly less tax advantageous solutions. For example, the payment of a bonus or dividends to facilitate a VCT/EIS investment with up to 30 per cent front-end stand-alone income tax relief. As for all investments the investor, as well as the tax advantages, will no doubt take fully into account the risk and liquidity aspects of what they are investing in before taking action. Access full CPD, technical updates and business generation ideas through Techlink Professional. Go to www.techlink.co.uk and click the Contact Us link at the top of the screen and then request your free trial from the drop down menu. 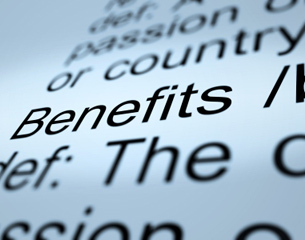 A major feature of our articles is looking into the Jelf Employee Benefits crystal ball to predict changes and trends that may influence the short and medium term shape of UK employee benefits. By flagging such changes early we aim to provide our followers with the tools to make sensible and informed decisions on their benefits offerings.